IMMA invited Niamh Ann Kelly, lecturer in Critical Theory, Department of Art, Design and Printing, in the Dublin Institute of Technology, to write an essay titled Here and Now: Art, Trickery, Installation which provides an overview of Installation Art. Kelly’s essay includes examples of artists and artworks, some of which are included in IMMA’s Collection or have been featured in IMMA’s Temporary Exhibitions. 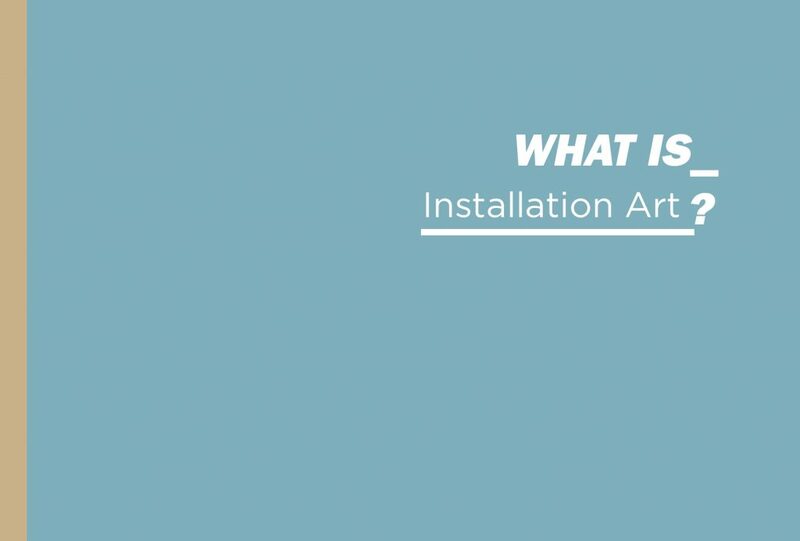 Ideas of installation art span a number of art practices and are variously registered in a range of approaches to the histories and theories of art. Sometimes permanent in structure, usually ephemeral, installation art prioritises, as the term suggests, the mode by which art is installed as a crucial facet in a work’s reflexive identity. This emphasis is typically achieved by ensuring, first and foremost, that the viewer is not a passive spectator but an active agent in how the work (re)defines place. This open-ended proviso of installation art acknowledges that reading, in the widest sense such as an encounter with art, is where knowledge is located. This concept finds a voice in the words of installation veteran Ilya Kabakov, who has remarked upon installation as a genre of art that takes note of a “shift from object knowledge to subject experience”.1 The functioning of installation art thus depends upon the presence of the viewer daily transformed, willingly or unsuspectingly, into necessary participants in the life of an artwork at a particular location. From this premise and in the light of contemporary alertness to cultural relativities through constantly changing notions of community, to compile a definitive history of installation art is a possibly impossible project. Claire Bishop acknowledges the cultural limits of her study on Western installation art, while Erika Suderburg comments that installation art is a solely Western art-historical construct.2 The disparity of these disclaimers serves a clear reminder that writing on art is always about points of view. Similarly, to claim an authoritative set of characteristics as central to all installation art would be a clumsily conventional and unproductive task. Instead I will focus on what can be identified as repeated themes and motives behind some exigent, influential and inspiring samples of installation art, in the hope that drawing attention to these topical aspects might contribute to general understanding and engagement with the persuasive power of this genre to make art experiential and immersive. A recess in an interior wall of a room appears to have a full vase of flowers, and a nearby window seems surrounded by a billowing curtain. On closer inspection, the sense of depth, texture, light and even life, is revealed as an illusion: a flat wall meticulously painted to provide the eye with the impression of features not actually there. Trompe l’oeil is a manipulative mode of image making and produces a vision, which can only be realised by the artist through a considered awareness of the viewer: understanding how they see and where they stand.3The resulting theatrical potential of painting can function as a metaphor for the wider trickery of art: to manipulate and undermine easy distinctions between experiences of life and of art, and between perceptions of reality and of representation. Arising from the observation that installation art prioritises viewer engagement, a useful point of differentiation between taking account of art as object and art as installation might be considered as part of a growing and determined insistence of artistic control over commissioning and curatorial power. Installation works by Ann Hamilton have progressively pioneered immersive experiences in which the duration of viewer engagement is vital. Often site and context-specific in her work, she also produces installations that are equally object-driven, such as Filament II, 1996. In this work, an organza curtain on a circular rail is mechanically programmed to spin, and to experience it the viewer must enter it. In theory, such an artwork can be described as a filledspace type of installation, as opposed to a location-specific work, to borrow Mark Rosenthal’s explanation: it be packaged and remade elsewhere, if a little differently.5 Nonetheless, as with all her work the role of the viewer is an active one, necessary for the work to make sense. Joan Simon points out that there is a “dynamic relation between the experiential and the picturesque” in Hamilton’s installations.6 Hamilton exerts a concerted control over the presentation of Filament II, for example, by maintaining the centrality of the viewer’s spatial immersion in the work, where a purely object-based piece might be (re)positioned more arbitrarily. In this reckoning, in installation art practices the artist’s awareness of the extent to which a viewer activates the work supersedes the managerial influences of the commissioner and/or curator. This power struggle has taken the form of an art that, in an out-right manner, proliferates space beyond the conventional art object, and therefore directly implicates the viewer and importantly, their experience, immersive or otherwise, as part of the work. Vanessa Hirsch identified in her discussion on Marcel Duchamp’s Exposition Internationale du Surréalisme, Paris, 1938, that the work: “bursts the spatial restrictions of a work of art”.7 This bursting forth, in all directions, is a symbolic tearing down of previously proffered boundaries of art – media specificity, discipline alignment, site of production, place of presentation and social function. Installation art is repeatedly distinguished as a genre of the late-twentieth century by a notable upsurge in artists’ stated interests in the potential for social change fostered by an emphasis on the experiential outcome of art, as epitomised in the rhetoric of Joseph Beuys among others.8 As a distinctive method of making art, installation art at this time challenged the reduction of art to an economic chip, tool of cultural discrimination or mechanism for social exclusion. Debates around art’s relationship to reality, in particular everyday socio-economic reality, lie at the heart of the preliminary indications of installation art as distinctive intentional genre, apparent in diverse collective and individual works.9 In 1961 a clearly intended installation-style work presented a smart critique of the values associated with material culture broadly. Claes Oldenburg’s The Store was a collection of typical saleable objects rendered in papier-mâché, such as a dress and decorative ornaments. Displayed in a rented store-front in the lower East Side of New York City, the artwork was a conflation of artefacts represented in a manner that denied their function within a viable commercial site. Oldenburg thus simultaneously queried the purpose of shopping and of art in a witty swipe at where and how cultural value is played out through social mores of consumption. The Store also marked the displacement of studio that occurs in installation practice as the work is definitively constructed at the location of its presentation, in Julie Reiss’ words “the site is the studio”.10 Taking a sincere if belated cue from Oldenburg, forty years later, Michael Landy took all his material possessions and placed them on a specially constructed conveyor belt in a disused department store in London. In the space he bagged and tagged the items and created an inventory with various categories, before everything was destroyed. Break Down lasted for two weeks, by which time all his material belongings were destroyed. A self-conscious search for identity through a thoroughly destructive act, Break Down also constituted a determined disregard for the rift between studio and display, and negated the separation of performance from installation. Rosenthal has described installation as an “elastic medium that compromised, even democratised, the sphere of art”: presumably Landy’s choice of venue and actions were indicative of an agenda to democratise art by enacting a refutation of personal identity on the high street.11 Landy’s work, however, demanded witnesses and in this, as Reiss has suggested in general, the prominence given to the viewer’s experience makes installation art resistant to conventional methods of historicisation. The subversion of the spaces and practices of everyday life presented in the installation work of Oldenburg and Landy institute a defiant attitude towards necessarily chronicling either art or society in the terms received by their respective generations. Springing from a sustained and ongoing dialogical practice, Eliasson’s art installations vary from subtle interventions to truly spectacular manipulations of environments. The Weather Project at Tate Modern, 2003, exemplifies the latter: the creation of an artificial sun, complete with ambient golden haze in the Turbine Hall. In other of Eliasson’s work, olfactory and aural senses as well as visual and spatial perceptions are called upon in fuller explorations of the synaesthetic potential of art. As constructions of spaces that intervene at various sites to refocus personal and shared senses of location, installation art, through committed boundary-breaking, highlights how temporal experiences call attention to the precariousness of systems of representation. Kabakov, who works in collaboration with his wife Emilia, has even developed a subgenre of installation art in his theatre installation works. Throughout his practice, Kabakov eschews the possibility of complacency on the relationship between individuals and their environment, by focusing on the interaction between social conditioning and realms of imagination. The Children’s Hospital, 1998, made for the Irish Museum of Modern Art, draws on the history of the museum site as a hospital and is combined with an interest in using fantastical elements to promote health – such as small mechanical theatres to provide entertainment for hospitalised children.15 The life-size scale of the hospital rooms clearly positions the viewer as the subject of the work and reorients the viewer’s consciousness of the unnervingly trans-cultural codes of institutional spaces. For artists such as the Kabakovs, Wilson and Dion, a viewer’s activated present-ness, being there, is key to the raison d’être of their works, which implies that installation art is in no small part a matter of spectacle, albeit a spectacle fashioned by blurred delineations between concepts of document and simulation. Comparisons are often evoked between installation art and cinema and theatre, but the comparisons are limited. In a cinema, as de Oliveira points out, the screen divides audiences from the form (though perhaps less so with three-dimensional effects).18 Also, in a theatre, audiences are usually a silent, seated and still mass, separated from the stage and actors. Installation art activates the spectacle, thus extending the theatrical stage of culture into subjective experiences. The viewer is on location and an essential element of the scene in an engagement that confounds expectations of art as a purely representative practice. De Oliveira phrased it: the artist and viewer are together in a discursive environment.19 In other words, the experiential outcome of physically being in the work fosters a sense of dislocation from both everyday life and art, disavowing segregated concepts of reality and systems of representation. Some historians, like Reiss, contend that installation art began as an alternative practice of cultural discourse that has migrated from its origins on the margins of mainstream culture to the very centre of institutional practice.20 It can equally be interpreted that, far from sitting pretty in the seat of cultural power, installation art in museums or as part of large-scale commissioned projects can function to effectively perplex politics of representation at play in such traditional set-ups. Jacques Rancière’s hypothesis of artistic practices as ‘ways of doing and making’ that intervene in the general distribution of ways of doing and making as well as in the relationships they maintain to modes of being and forms of visibility”, seems to iterate the transformative potential of art on concepts of public domain and dominion.21 Installation art, then, as method of space reclamation, can re-territorialise culture from either margins or centres of commissioning authority, by virtue of an insistence on the viewer as indispensable to the work. Through his work in urban spaces, Thomas Hirschhorn has elaborated on a desire to generate art as a place for social interaction, where communication is open-ended. At Documenta 11, 2002, in Kassel, Germany, Hirschhorn developed a layered project that included a makeshift port-a-cabin library and cafe thematically dedicated to the philosopher Georges Bataille.24 Situated in a suburban area away from the main exhibition venues, and primarily focused on engaging the local community, Hirschhorn’s work pointedly prioritises the role of viewer-participant as the purpose of the materiality of the work: a library or cafe is only communally recognised as such if it is utilised. Nollert’s description of ‘performative installation’ as a social space applies here: the performativity of the participants is reliant on the presence of the work, but is not entirely controlled by it.25 The performativity aspect that attends installation art implies a counterpoint to predetermined representative processes, and renders the practice of installation art one of constant transition and art installations guaranteed uncertain outcomes. When Marcel Duchamp attempted to place his ‘readymades’ in a gallery in 1917, he in effect stated that critiques of institutions of representation are a necessary part of art.26 A urinal was deemed a fountain in the eventual transition from plumbing outlet to gallery plinth and so questions were raised: What is everyday life? What is art? Who decides these questions?27 The advent of installation art harnessed these questions into: What is real? What is representation? 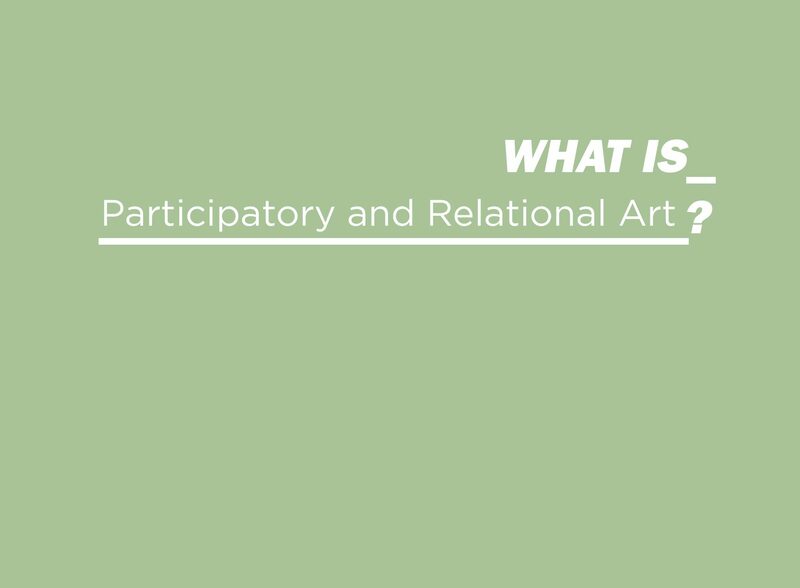 As a result, many terms have been applied to installation art – category, event, environment, intervention, site, space, medium, assemblage, ensemble, simulation, construction. This indicates that comprehending the guises of art forms is much more complex than a historical litany of media practices can explicate. The distinctions of art genres is critically linked to shifts in social, economic, geographical and virtual contexts of how and where art is read, experienced and historicised through collections, exhibitions and documentation. In an age defined by paradigms of mobility when potential to journey seems evermore widely available, artists are increasingly nomadic and virtual travel re-characterises the geography of social networks, the desire for physical spaces where contemplative, confrontational and participatory spectatorship can occur is peculiarly constant. Recognising, temporarily, installation art as a genre – with its inherent demand upon the viewer to get involved, here and now – crystallises the continued importance of the sublime contradiction of art as a persistent form, and site, of expression and communication. Potentially an interruption of everyday life, art can also be integral to daily living: manifesting in installation art as an active mode of cultural challenge and ideological confirmation. Quoted in Nicolas de Oliveira, Nicola Oxley and Michael Petry, Installation Art in the New Millennium: The Empire of the Senses, London: Thames and Hudson, 2003, pp. 14-15. Claire Bishop, Installation Art: A Critical History, London: Tate Publishing, 2005, p. 13; Erika Suderburg (ed. ), Space, Site, Intervention: Situating Installation Art, Minneapolis/London: University of Minnesota Press, 2000, p. 10. The term trompe l’oeil is literally French for trick the eye. For discussions on the significance of trompe l’oeil see Hanneke Grootenboer, The Rhetoric of Perspective: Realism, Illusions in Seventeenth-Century Dutch Still-Life Painting, London/Chicago: University of Chicago Press, 2005 and: Parveen Adams ‘Out of the Blue’, in Carolyn Bailey Gill (ed. ), Time and the Image, Manchester: Manchester University Press, 2000, pp. 61-68. Built with a financial contribution from the Museum of Contemporary Art, Los Angeles, the house was primarily financed by the artist. The 3,200 square-foot house was on exhibition to the public for five weeks in 1998, and is now the artist’s main residence and indicative of his work where separations between art, design and architecture are intentionally negligible. Mark Rosenthal, Understanding Installation Art: From Duchamp to Holzer, Munich/ Berlin/London/New York: Prestel Verlag, 2003, p. 28. De Oliveira draws attention to the debate on ‘interior art’ taken up by Camiel van Winkel, which also suggested an inherently self-contained type of material element, op. cit., p. 29. Joan Simon, Ann Hamilton, New York: Harry N. Abrams, 2002, p. 17. Vanessa Hirsch, ‘From the Sound of Colour to the Dissolution of Disciplines: Synaesthesia in Twentieth-Century Art’, in Olafur Eliasson: Scent Tunnel, A Project for the Autostadt in Wolfsburg (Catalogue), Ostfildern-Ruit: Hatje Cantz Verlag, 2005, p. 99. Joseph Beuys repeatedly espoused the idea that art could transform daily life, that everyone can be/is an artist. See Mark Rosenthal, Sean Rainbird and Claudia Schmuckli (eds. ), Joseph Beuys: Actions, Vitrines, Environments, London: Ménil Collection in association with Tate Publishing, 2004. Clearly many artistic practices have paved the way for installation art: among them the practices of the Dadaists and Surrealists as well as the interrelated aspects of Allan Kaprow’s notion of environments, Jim Dine’s use of assemblages, the performances of the Viennese Actionists and ideas incorporated in the staging of happenings and events from the late 1950s. Earlier works such as Proun Room, 1923, by El Lissitzky and; Merzbau, 1926-1936/37 by Kurt Schwitters have a significant formative influence on what we call installation art today. Julie H. Reiss, From Margin to Centre: The Spaces of Installation Art, Cambridge (Mass. )/London: MIT Press, 1999, p. xvii. The placement of the studio of Francis Bacon as an exhibition in Dublin City Gallery The Hugh Lane articulates a popular resistance to the demystification of the art process sought by installation practices. In a related vein, the fascination with photographs, films, and even partial re-creations of Piet Mondrian’s studio fashions this interest with artists’ studios as a site of spectacle. Rosenthal, op. cit., p. 25. Friedrich Meschede, ‘For All the Senses’, in Olafur Eliasson: Scent Tunnel, A Project for the Autostadt in Wolfsburg (Catalogue), Ostfildern-Ruit: Hatje Cantz Verlag, 2005, p. 82. Michael Fried, ‘Art and Objecthood’, first published in Artforum 5, June 1967. See Michael Fried, Art and Objecthood: Essays and Reviews, London/Chicago: University of Chicago Press, 1998, pp. 148-172. Angelika Nollert, Performative Installation (Catalogue), Snoeck/Siemens Art Program, 2004, p. 22. Discussed by Johanne Mullan in Irish Museum of Modern Art: The Collection, Dublin: Irish Museum of Modern Art, 2005, p. 96. See Flora Kaplan (ed. ), Museums and the Making of “Ourselves”: the Role of Objects in National Identity, London/New York: Leicester University Press, 1996. See Fred Wilson, Speak Of Me As I Am, Cambridge, MA/London: MIT List Visual Arts Centre, 2003 and; Mark Dion, Archaeology, London: Black Dog, 1999. De Oliveira, op. cit., p. 23. Jacques Rancière, The Politics of Aesthetics, London: Continuum, 2002, p. 13. See Guy Debord, Correspondence: The Foundation of the Situationist International (June 1957 – August 1960), Los Angeles: Semiotext(e), 2008. Bishop, op. cit., pp. 11, 13. Many installation works can be understood in this light. The anti-monument works of Jochen Gerz are indicative of these concerns where the monument is either invisible or becoming less visible. In the mirror works of Dan Graham the frustrations of perspective are realised by the possibility of multiple viewpoints as the works interact with their environment to render obscure clarity between reality and reflection. Collaborative artists Denis Connolly and Anne Cleary have created works based on scenarios of appearance and disappearance of the engaged subject through live and delayed projections. One aspect was a pamphlet available on site, which included: Christophe Fiat, ‘Thomas Hirschhorn: The Experience of Violence in Sacrifice’, Documenta 11_Platform5: Exhibition (Catalogue), Ostfildern-Ruit: Hatje Cantz Publishers, 2002, pp. 564-567, a text commissioned by Hirschhorn, addressing Bataille’s work. Nollert, op. cit., pp. 13, 20. Assuming the pseudonym and later ego of a Richard Mutt, French artist Marcel Duchamp submitted the work for exhibition with Society of Independent Artists New York in 1917. When the work was hidden from display, the controversy was sustained in The Blind Man journal, Vol. 2 that year. Belgian artist Marcel Broodthaers brilliantly queried the casual persuasion of iconographies of power in the form of insignia, emblems, symbols and cultural display practices to demonstrate the terrifyingly thin line between what a society may understand as reality through representational practices in his so-called ‘museum fictions’ works in the 1960s and ’70s. Discussed by Steven Jacobs, in S.M.A.K. Museum of Contemporary Art/Ghent, Ghent and Amsterdam: Luidon, 1999, pp. 96-103.